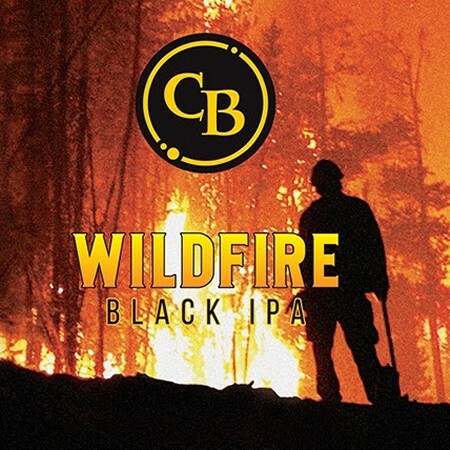 PENTICTON, BC – Cannery Brewing has announced this year’s edition of the annual charity beer Wildfire Black IPA, a timely return given the especially destructive wildfire season that British Columbia is experiencing this year. First released in fall 2009 to honour the firefighters and emergency service workers who helped fight that year’s fierce Okanagan Valley fires, Wildfire now pays tribute to those who battle fires across Canada, with partial proceeds donated to the Canadian Fallen Firefighters Foundation. This unique black India Pale Ale is a tribute to the firefighters and emergency service workers who help fight our Canadian wildfires each year. Wildfire IPA is intensely dark and smooth. This black IPA has complex hops that rage through to the finish. Fierce Hop, Gentle Bite! The 2018 edition of Wildfire Black IPA will be on tap later this week at Cannery, with 473 ml cans to follow in early September at the brewery retail outlet and select liquor stores throughout British Columbia.